If you are a Joomla user or developer, chances are you know the name NoNumber for their incredible collection of Joomla extensions. NoNumber is a company that creates and offers an ever expanding and improving range of the best Joomla extensions, that are generally focused on extending Joomla's functionality and making repetitive tasks easier and faster. I am personally a big fan of Advanced Module Manager, that provides you sovereignty to publish Joomla modules anywhere in your Joomla website. Do you know whose genius head came with the idea of this revolutionary extension? Let me introduce him, he is Peter Van Westen. The passion of Peter had a kickstart at his six to be a pastry chef. But the accomplishment of his dream to be a pastry chef at his 20, leads him to move forward to do something great. One day Peter got an opportunity to make a website of a church. Fortunately, he built the website on Joomla successfully. And the love for Joomla! started to begin. Peter van Westen has been working with Joomla for several years now with his one-man company Number!, made some wonderful and award winning Joomla extension like like Advanced Module Manager, Articles Anywhere, Tabber, Slider, Sourcerer. We had a chance to get in touch of with Peter Van Westen and asked the following questions. I am Peter Van Westen. Born in 1979 in the summer. I think it rained. Stuff happened for 23 long years. Then I met my later-to-be wife. And then life started. I got married. Got a daughter. And since then life is pretty much complete and great! This job didn’t really deliver what I had expected of it and it quickly became boring. I had been messing around with computers from a young age too. Pressing the Membrane Keyboard of my fathers ZX81 at the age of 7. Later to be replaced by the Commodore +4 (yeah, way better than the 64!) and followed by the Amiga 600 (yeah, way better than the 500!). So, 22 and without a job, I thought: if not pastry cheffing, then something with computers. After a failed attempt at network administration, I learned I really liked web development. After having learned the basics and made my first couple of websites, I started attending a multimedia course (never finished it). Got a job in web development (using ColdFusion… argh!). And messed around with Joomla in my spare time. I had to make a website for my church back in 2005. I had taught myself enough HTML and CSS to get around but had not done much with PHP at all. But I needed to create a website with a login part and ability to create pages. So I decided to learn PHP and how to code these things. In my hunt on Google for information on PHP and creating logins and databases, I came across something called CMS’s. These things already did what I needed, so great! I tried a few out but couldn’t wrap my brain around most of them. But I did understand and liked the approach of Mambo. I had most if not all of the features I was looking for. And I could imagine what I would have to do to get my site working with it. I think I was halfway with the site when Mambo split into Joomla. So I simply moved along with Joomla. After hacking Joomla into shape to do what I wanted, the site was done. Then the first update came along and BAM, all my hacks were gone!. So I quickly learned not to hack Joomla but to solve stuff using plugins. And that’s where my journey into Joomla extension development began. I have had to work with Wordpress a few times. In the past years, I have also made a few attempts to see if I could create my extensions for WordPress. But it doesn’t make me happy to be digging around in the Wordpress code. For a lot of people and a lot of websites, Wordpress is the right fit. But it’s not for me right now. Creating stuff to help people, not to make money. Nearly all ideas have come through stuff I needed for websites I was creating at the time. These were either functionalities that were missing or stuff I thought could be done a lot easier/faster. For instance, I needed to have a module show up on all pages except a certain menu item. That wasn’t possible yet in Joomla in 2009. So I created an extension that later grew out to become Advanced Module Manager. I needed to place some custom PHP in my articles. So I created AnyTags! in 2007 which later became Sourcerer. So, the most of the extensions were born through a personal need. Other people seemed to also have these needs and liked my solutions for them. That has been and still is an amazing experience. There is no philosophy behind the name NoNumber. I started creating Joomla extensions for my own use. When I had 4 of these I decided to just make them available online. I didn’t think it was important to attach my name to these, so I was looking for some anonymous name for the website. I liked the ‘No Name’ brand, but the noname.nl was already taken. So the next choice was nonumber.nl. That was the whole thought process. Not very glamorous! I also had no plans or ambitions at that stage to make these Joomla extensions my hobby, let alone my business. So I didn’t think about claiming the .com domain or get the @NoNumber twitter handle. So now I have @NoNumber_nl. I am a CPE-developer. I Copy, Paste, Edit. So, I usually start by taking an extension that sort of does what I want. Either in functionality or approach to a solution. I then start changing it to what I want. In about 100% of the cases, I pretty much rewrite every line of code or simply start from scratch as soon as I know where I am going. I work on a Windows 8 laptop. I use PhpStorm for development. For simple file changes (outside of projects) I often use Notepad++. I have a lot of custom PHP scripts I run to copy files around and create the extension zips. I also use WinMerge in this process. When I like a request and think it is in line with the concept/vision behind the extension, I usually add it to the extension the moment the request comes in. I then send the user a version to test out. Usually within the hour. When multiple users have the same question, it usually means I should either change something in the extension to make it clearer or change my documentation. I start the day handling support requests. This often leads to things I should fix or want to change. I do that right there and then before I handle the other support requests. But if I feel like developing something new that is keeping me awake, then I dig into that before I finish handling the support requests for that day. I can’t live without PhraseExpress. I use PhraseExpress to place predefined texts via keyboard shortcuts. I use this in coding, for email signatures, for complete answers to support the request. It saves me a lot of typings. The only bad thing about it is the terrible support on it. But I haven’t found a decent alternative for it yet. I also hate answering support or emails from my mobile, because I don’t have the ability for these shortcuts. I have a Win 7 laptop. It is a 17” Asus N750J. I have a 21” external monitor and that’s about it. I often work from my laptop alone (like when in bed! ), so I like having a big screen laptop. When working from my desk, I only use the external monitor. I can’t seem to be able to work with 2 screens. I hear some developers work with 6 monitors. I just use one. I don’t. I have a wife for that :) She is usually the one that makes sure we see our family regularly. If I wasn’t married I don’t think I would see much of the outside world. Making time for my wife and daughter is no issue. I love working from home and being able to drop everything in the middle of the day to do stuff with them, whenever I want. What do you do for your refreshment? I am blessed to have a beautiful house with a large garden. Now the sun is shining again, I often get into the garden and do stuff, like mowing the lawn or pruning trees. Your favorite books, music and sports? I don’t read books very often. I should be reading my Bible a lot more than I do. But I don’t like reading much at all. I do like music a lot. Currently I mainly listen to instrumental post-rock, like Mogwai, Glories and Astralia. I used to listen to prog-rock a lot, but not so much nowadays. Sports? That’s that thing where you have to move around and stuff, right? Nope, don’t do any and definitely don’t watch any. Well, it is pretty ok-ish. I usually sleep from about 12:00 to 8:00 But when my head is full of coding ideas I may end up working till 4:00 AM and get out of bed at 11:00 AM. I take my daughter to school twice a week, so it is out of bed at 7:00 AM for those days. Wash it, don’t scratch it. Try to solve an issue that you want fixed. Don’t try to create something you think makes money. Or something you think others will want/need. Make something you think you need first. Extensions (but also other software) that isn't actively used by the developers is usually not too good and lacks passion and commitment. I have asked all the questions to add a fuel of inspiration in your entrepreneurial journey. Now it’s your turn. Peter has generously agreed to your question in the comments of this interview. Post your questions for Peter in the comments below. From the kick start of ThemeXpert, we are posting all the articles that you find helpful and useful. We keep you updated with latest finding of Joomla community and ins and outs of ThemeXpert HQ. But we don’t want to confine our relationship in posting Joomla tutorials, resources, tips and tricks only. We want to give some inspiration and want to introduce to those guys who are doing great in Joomla industry. 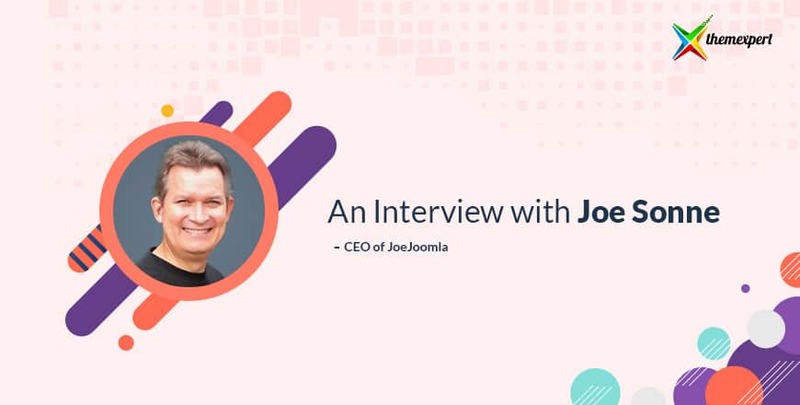 To head start with this roundup, we are going to post series of interview of Joomla industry leaders. For a wonderful head start, today we are going interview Jisse Reitsma. Jisse Reitsma is one the famous figure in Joomla development community. He has been with Joomla since the very beginning days. Jisse has marvelous talent in Magento development as well. He has developed around 60+ Joomla and Magento extension in his extensive career. He also wrote a tremendous book on Joomla plugins development called Programming Joomla Plugins. Jisse Reitsma is co-founder and developer in charge at Yireo, the Dutch company mainly renowned for its Magento-Joomla bridge extension call MageBridge. MageBridge allows you to serve as a bridge between the Joomla CMS and the Magento e-commerce shop. It allows for displaying Magento content within Joomla through a component. We had a chance to get in touch of with Jisse Reitsma and asked the following questions. My name is Jisse Reitsma, co-founder of Yireo and since the end of 2014 an author. The main focus of Yireo is building extensions - extensions for both Joomla and Magento. One of the main extensions is MageBridge, which bridges Joomla and Magento (and which actually consists of 80+ extensions in total). However, currently we have over 50 different extensions - there are a lot of small handy extensions that fulfill many needs and some extensions for vertical markets. I’m the lead developer of each one of them. What led you to write Programming Joomla Plugins book? Joomla components play most vital role in Joomla, so why did you pick plugins as a topic? Of all the extensions I have ever built - I guess it is a number of about 300 extensions or more - the extension type that I have built the most is plugins: Joomla plugins are very diverse. You can extend Joomla with custom authentication types, SOAP integration, additional form fields, quick hacks, content additions, search abilities, etcetera. Every single plugin event in the Joomla core is covered, plus various events of third party extensions and a lot of background knowledge. Currently, many devs already are using the book as the main reference guide when building plugins. It is impossible to know everything about plugins, so this book is really there to help you out with the details. The Joomla market is getting smaller compared to WordPress. What's your thought to improve this situation? To be honest, I’m not a marketer and I don’t keep a close eye on statistics - I’m mainly into Joomla for the fun. The fact is that WordPress is the most popular CMS and Joomla only comes second. I think the main focus should be on making Joomla simpler to use. That’s exactly where WordPress has won ground. For instance, there are various tasks that are very simple in WordPress. While with Joomla that same task requires multiple steps - like writing an article and adding it to the menu. There are multiple Joomla extensions that solve those issues already. Either those extensions need to become part of the core, or we need to be heading to some kind of distribution-like model where hosting providers or implementors can easily roll out their own type of Joomla (core plus preferred extensions). Simply by copying the things that WordPress excels in could make Joomla win ground again. Joomla still offers a far better architecture and code base, so I trust that when users are looking for something more advanced, Joomla still wins. Do you have plans for writing next version of this book, tell us a little about it? Actually, I’m already planning for a new book, but that book will focus on Magento instead. The topic is not really set yet, but most likely it will cover Magento hosting environments. Again, a very specific topic, but I guess that’s how Yireo does its thing. After finishing that book, I’m really eager to write another book on Joomla again. Perhaps a programming title, but I’m not sure which area would be the most interesting. When starting to program Joomla, most people struggle with some of the basics of PHP: Objects, scope, references, design patterns. So that could be an interesting topic. That being said, it’s still something of the far future (2017/2018). I don’t plan that much ahead. You are running a business. If you had a chance to start it from scratch today, which steps would you prioritize first, from which steps would you refrain yourself? What I have definitely learned over time is that you should automate as many steps as possible. However, you can never automate all steps - I really believe in semi-automation. Setting up a business means that you focus on a specific skillset, a specific expertise. That skills and expertise could be templating, web design, building entire sites, developing extensions. Whatever you do, you have to make sure that you can do that as “smart” as possible. By setting up things properly in the beginning, automating the necessary tasks, you can save time, and that time can then be put again in growing your business. For me personally, this means releasing extensions as quickly as possible with any manual interaction. For most other people, that could mean setting up your website properly first - with a nice web design (for instance, based on templates from you guys), proper contents and good conversion funnels. Without a good website, you won’t be able to drive your business either. The same counts for your administration, your daily tasks. Try to win as much time as possible by avoiding long tasks. What is your advice for Joomla newbies to have good start with customizing Joomla sites? My book covers programming, so to most Joomla newbies it won’t be that helpful. True, the book serves as a good guide when you want to learn more about Joomla and PHP. But still, when you are starting with Joomla, it is probably best to start learning the CMS first, and next, move to learning CSS and HTML. While customizing Joomla to your needs, you will notice that some tasks are simply impossible to do from within your WYSIWYG editor. Having knowledge of CSS and HTML will allow you to modify things in a better way - either by adding code to your content (ugly) or by combining HTML-classes in your content with CSS-rules in your template. Having a well-thought template like the ones from ThemExpert will definitely save you a lot of time. Fill in the blank with a name of Joomlers: I’d love to see _________ answer these same questions. Peter van Westen, the proud founder of NoNumber. Grab a copy of Programming Joomla! Plugins! We learn Jisse is experienced figure in Joomla development. If you want kick start your Joomla plugins development in the guideance of proficient head, We recommend you to grab Programming Joomla Plugins and start your development right away.